Ader Telephone Station is a photograph by Science Photo Library which was uploaded on July 24th, 2016. Ader telephone station. 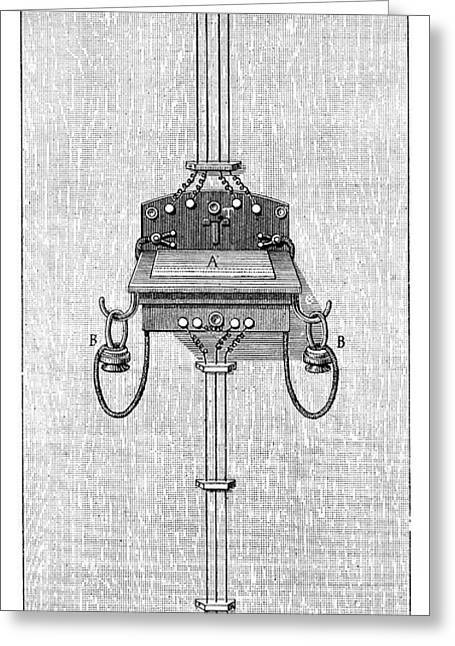 Historical illustration of the wiring and apparatus used for a telephone station, as developed by French engineer Clement Ader (1841-1925). The design includes a transmitter (pad at centre), two receivers (earphones on hooks at left and right), batteries (lower centre), and an electric bell (top centre). 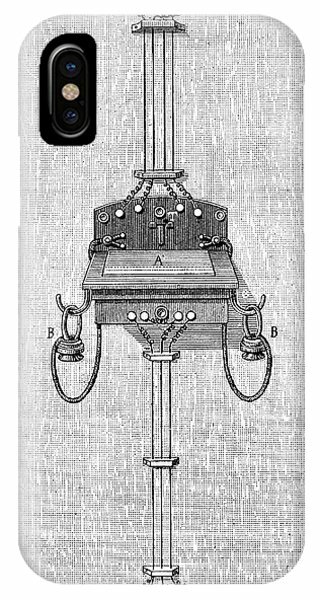 The telephone was developed in the 1870s, with several inventors pioneering the technology. 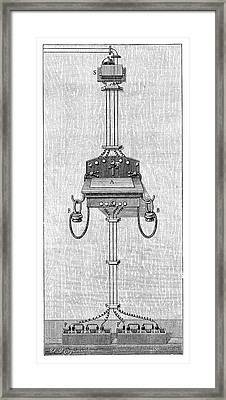 Artwork from 'Electricite' (1911) by Max de Nansouty, part of the 'Les merveilles de la science' series of 1867-1891 by Louis Figuier. There are no comments for Ader Telephone Station. Click here to post the first comment.